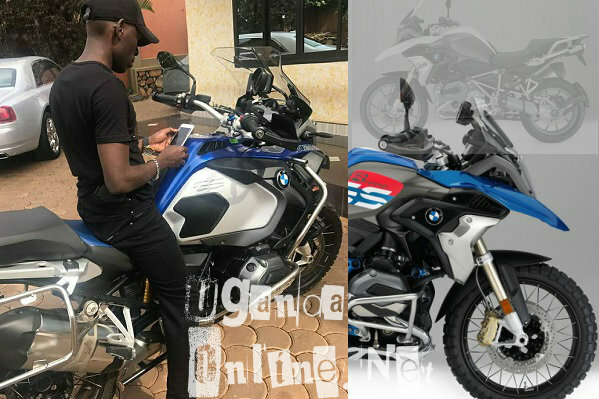 Jalia Mbuga - "I hate you, you are not serious..."
Were the words mama Ferrari used when her baby daddy SK Mbuga communicated the news of their latest addition, a BMW R1200GS, to their fleet. 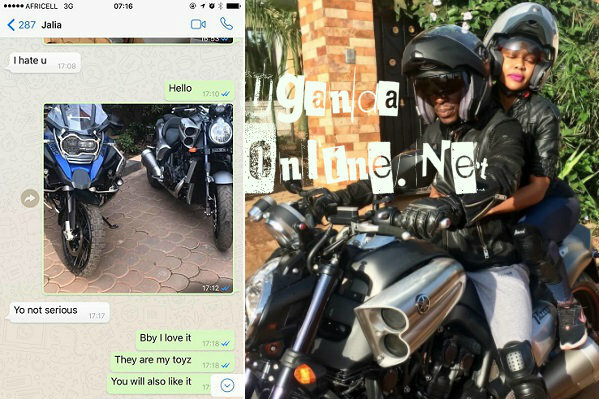 "Baby I love it, they are my toys, you will also like it," SK Mbuga replied. As it turned out, one of the toys has left him nursing serious injuries. In the pic above, that was Jalia's first time on a bike and she looked freaked out. SK will soon be transferred to Sweden for further medical examination. 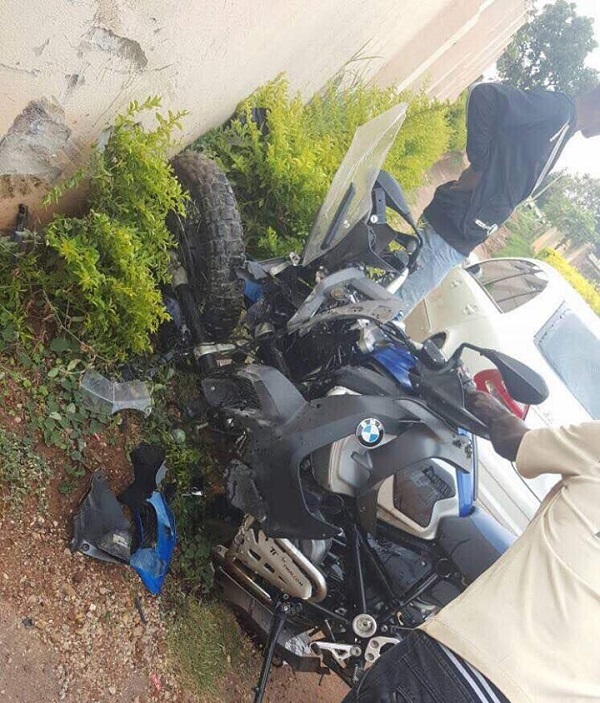 "SK Mbuga (quick recovery) should stay in his luxury cars and leave issues of bikes to the bikers. Some of those bikes have more horse powers than a Premio and remember it runs on two tyres, so you can imagine its engine power. I hope he learnt that, however much one doesn't fear taking risks, some fields of operation require prior training. Otherwise, may God stretch out his healing hand upon the "big man". 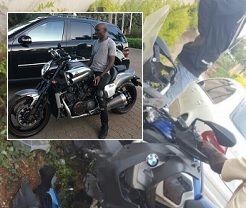 "Most Ugandans never take time to read manuals of machines and electronics that come with many instructions in small print.. be careful with Masappe!" "What is really going on? Ivan Semwanga had just started doing Charity in Uganda then he passed on now its SK Mbuga , may God save you so that you can continue with your charity work."